The other day we spoke of sibling themes throughout Mozart's oeuvre. Since you will be deprived of my review of the finale concert to this season's Mostly Mozart Festival due to said concert having been prematurely and peremptorily cancelled, I assembled a few of Mozart's sibling themes here. Is it tremendously significant to point them out? Perhaps not, but I've always found such musicological sleuthing quite fun. Still, the similarities do reveal points of interest. How grateful one feels to see the hidden world of the theme from Die Zauberflöte, which we just glimpse in the opera, open up in so many ways in the rondo of the Trio. Look in Example 2 how many variations Mozart gets from the main theme, itself a variation from the set in the Violin Sonata. In Ex. 3 how different are the effects of the second subjects on that same heartbroken siciliana. Yet how similar the moods in Ex. 4, in which both manage the curious pairing of great affectiveness and even danger along with a detached, almost ethereal, innocence. The last pairing exemplifies the consistently operatic nature of Mozart's music even across genres. As with the the previous speeches we will not be addressing the truthfulness of the assertions but rather we will consider primarily two questions: what is it trying to persuade us of and how does it do so. We will also, as before, look at some rhetorical criteria as set forth by Aristotle. For clarity I have chosen to annotate certain sections. [Called upon to undertake the duties of the first executive office of our country,] I avail myself of the presence of that portion of my fellow-citizens which is here assembled to express my grateful thanks for the favor with which they have been pleased to look toward me, to declare a sincere consciousness that the task is above my talents, and [to declare] that I approach it with those anxious and awful presentiments which the greatness of the charge and the weakness of my powers so justly inspire. A rising nation, spread over a wide and fruitful land, traversing all the seas with the rich productions of their industry, engaged in commerce with nations who feel power and forget right, advancing rapidly to destinies beyond the reach of mortal eye—when I contemplate these transcendent objects, and see the honor, the happiness, and the hopes of this beloved country committed to the issue, and the auspices of this day, I shrink from the contemplation, and humble myself before the magnitude of the undertaking. Utterly, indeed, should I despair did not the presence of many whom I here see remind me that in the other high authorities provided by our Constitution I shall find resources of wisdom, of virtue, and of zeal on which to rely under all difficulties. To you, then, gentlemen, who are charged with the sovereign functions of legislation, and to those associated with you, I look with encouragement for that guidance and support which may enable us to steer with safety the vessel in which we are all embarked amidst the conflicting elements of a troubled world. 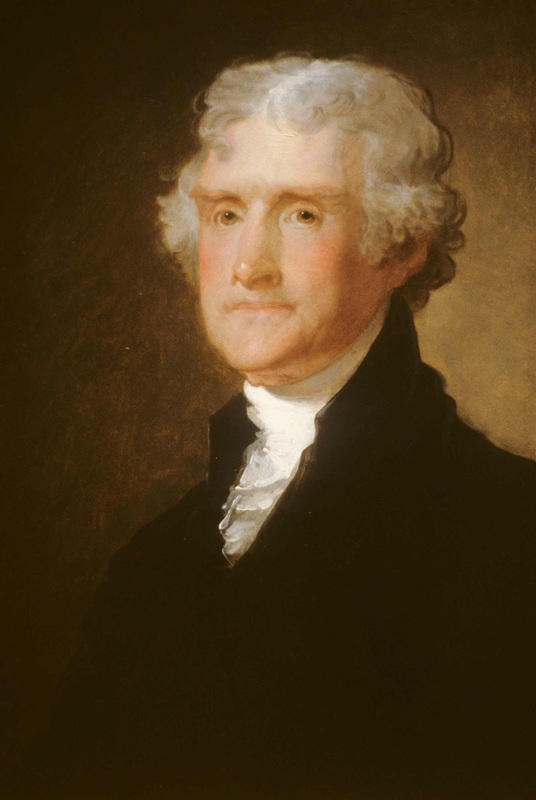 Jefferson's structure defers mention of himself to the middle of the sentence and begins by stating that the people have asked him to take up duties in the government. He continues by acknowledging with great care the American people, both those present and those elsewhere by saying "that portion of my fellow-citizens." Jefferson thanks them for their favor and states that he is humbled before the task. His use of the phrase "above my talents" compliments the opening "undertakes," both images of the president below the task. Clearly Jefferson is doing everything he can to convey humility. Even his structure does this, for example he says, "I avail myself. . . to express, to declare, that I approach" Clearly the "that I approach" utilizes some understood infinitive (for example, "to acknowledge") parallel to "to express" and "to declare" but he omits it to the effect of a mild anacoluthon, that is, a breaking off of the structure to suggest that he is being carried away by the moment. Jefferson continues to describe the awesomeness of the task before him, describing them not just as "anxious and awful presentiments" but "those anxious and awful presentiments, which the greatness of the charge and the weakness of my powers so justly inspire." The phrase, "which the greatness of the charge" suggests that anyone ought to be humbled by this office and the word "those" amplifies the sentiments by suggesting that the presentiments are somehow familiar to the men who have been president and endemic to the office. "Those" implies, "those same presidential." Jefferson continues to humble himself by expressing, parallel to the previous thought, that his own weakness is the cause of some of his apprehension. The logic of this naturally elevates the status of his predecessors. The phrase, "so justly inspires" emphasizes both points, that his apprehensions are cause by 1) the natural greatness of the office and 2) his own weakness. We have discussed the wonderful structural features of Mozart's music many times in this space. From fugues and fugatos, canons, themes and variations, rondos, sonatas, arias, Mozart mastered all of the forms of his age and wrote masterworks in each. Yet one aspect of these pieces we have not looked at so much, or looked at only incidentally, is that of the themes themselves. Perhaps this is due to an inability to describe them. How does one speak at length about a theme? One can describe it as perky or lofty, angular or flowing, dance-like or lyrical, and so forth, but how else? Of fugue subjects in particular one does not discuss the potential of the subject theoretically but by studying what the composer actually does with it, i.e., the fugue it self. Yet the great themes "vibrate in the memory" and to create one is no small task. A consideration of Mozart's gift for theme-writing in fact reveals several virtues. The first is the rather apparent fact that Mozart, with and perhaps beyond Schubert and Rossini, was one of music's great melodists. All of Mozart's music brims with beautiful melodies, all of them utterly individual though the careful listener will notice some siblings. There is lyricism, joviality, coyness, humor, dread. Perhaps it is in opera that Mozart's gift for melody is most often appreciated, a not unfair turn since opera occupied Mozart's attention more consistently than any other genre. Second, Mozart created themes with great potential. As we have seen from our structural studies, Mozart created themes attractive both by themselves and decorated, themes revealing in variation, often suitable for treatment with counterpoint of varying strictness and length, and surprising in modulation. Some are treated in turn by the different groups of the orchestra, some only for one group, some are treated in lengthy developments, others appear but once in moments all too brief. The issue of quantity and variety of thematic material of course intersects with the matter of structure. In the concertos for piano, for example, Mozart used what Arthur Hutchings cleverly called a "jig-saw" technique by which a theme leads to or "fits" not just one other, but several, and those themes fit several as well. Hence the Mozartian concerto is one of both great variety and great structural control, though matters of economy, structure, and unity of effect are separate and considerable inquiries. The concertos then seemed to me a good place to look at Mozart's many melodies as there are many of them and they are varied. We have discussed some of them before, but how do we appreciate the quantity and their variety? To that end I edited them together, below. Two notes before viewing: if you haven't heard the concertos before, it's up to you whether you want to hear them presented this way before you hear them in context. Second, it is fruitful and fun to play with the themes yourselves. What does each one suggest? What are you inclined to do with it? What might another composer have done? And finally, what does Mozart do? If it were different, what would it not be able to do, or how would its character change? If nothing else I think the contrasts calls attention to a talent (refined with effort into a skill) that is not overlooked, but rather taken for granted. Who could create all of these characters out of nothing? N.B. I included only the opening themes of concertos KV.449-595 in the video. N.B. I didn't have the heart to truncate the glorious opening to KV.503 any more than I did. I always stop myself after thinking "they don't make movies like this anymore." Why should any age or generation make movies exactly like those of another? Yet even as style changes the essence of film, regardless of the genre, usually remains: drama and narrative. At least there is an interesting premise, however poorly it may be developed. Perhaps the spate of, well, bad, summer blockbusters has brought out this line of thinking once again. 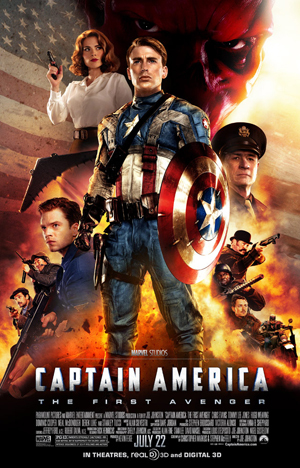 We recently looked at Captain America which can hardly be said to be about very much of anything. Look at the paragraphs of contortions we had to to do just to figure out of if anything important was happening in Captain America and even last year's superior Iron Man 2, both above average action movies. In the absence of ideas the only fact that makes these movies even watchable is that they are clearly about one person who we invariably feel some sympathy with. Though as Aristotle warns us, a series of things that happen is not significant just because they happen to one person. 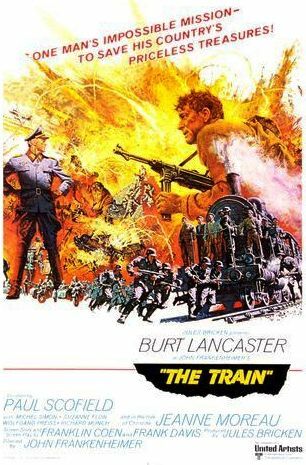 John Frankenheimer's 1964 film The Train, reminds one that an action picture can be both entertaining and full of ideas. The Train is a terrific action movie with a great cast, spectacular action, style, and actual ideas. The slow opening is the perfect preface. "August 2, 1944, one thousand five hundred eleven days into the German occupation of Paris." A Nazi officer walks into a building. It is a museum. He doesn't walk in the stiff, yanking gate of the SS but with a detached calm, almost striding in. 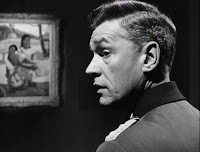 Walking softly, deferentially, among the paintings he pauses, deciding which to visit. He decides on a Gauguin and illuminates it. And then another painting, and another. The curator enters, looks at the Gauguin and asks, "It was in the Clouvet collection, wasn't it?" The officer, Franz von Waldheim, replies, "It was," ever so slightly drawing out the phrase. Yes it was, but it is here now. 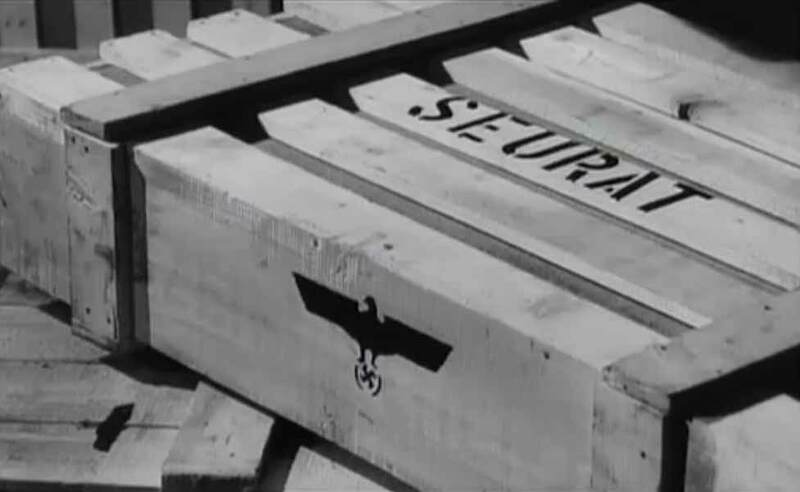 The Nazis have taken it. We have taken it. It is ours because we are better. And we are going to move all of the paintings out of France by train into Germany because the Allies are set to take Paris any day. More specifically, Waldheim is taking them out of France, and not for their cash value. He tells the curator, "We [Germans] all may not appreciate artistic merit." Waldheim does, though, and he manipulates his superior, who does not care for art let alone the "degenerate trash" Waldheim intends to move, into giving him a train to Germany. This is one of many instances in which Waldheim tricks or even lies to other officers to save his precious cargo and throughout the film he stands out from the other officers as someone far less concerned with military efficiency and Nazi decorum than seizing his private cultural inheritance. They wouldn't be wasted. Excuse me. I know that's a terrible thing to say, but those paintings are part of France. The Germans want to take them away. They've taken our land, our food. They live in our houses. And now they're trying to take our art, this beauty, this vision of life born out of France. Our special vision, our trust. We hold it in trust, don't you see? For everyone. This is our pride, what we create and hold for the world. There are worse things to risk your life for than that. Can you imagine a contemporary film articulating those points, let alone an action movie? She's not talking about preserving a way of life, things that are valuable or priceless, or even a bona fide but common theme of action movies, freedom. She's talking about preserving, and keeping, a way of looking at the world, a unique French sense of life. In other words, a culture. Too it is "held in trust" for the world, that is, they are they curators of the culture, and they must see that it goes on existing. They must preserve this beautiful, unique way of looking at the world. Labiche is not persuaded, in fact he only takes charge of the train with paintings by a series of coincidences. When the train's previous engineer, Papa Boule, is caught sabotaging it to slow it down and keep it in France, Labiche defends him to Waldheim as a foolish old man who didn't know what he was doing. Now Papa Boule wasn't fighting for culture so much as "the glory of France." In fact in an earlier scene a friend calls him "sadly deficient" in matters of culture. Nonetheless when Labiche tries to protect him by telling Waldheim that Papa Boule saved his [Waldheim's] train, Papa Boule bursts out, "His train! His! It's my train! I know what I'm doing. Do you? You'll help them. I practically raised you, but you're no better than they are." He might as well be saying, "our," though he means it in a different way than the curator. Still, it is quite severe criticism. The curator gave us one argument to save the art, Papa Boule another. The two remaining men in Labiche's group do it because they see it as part of their larger resistance. What about Labiche? He never seems persuaded by any argument but just keeps going so others don't have to go alone. At last, though, Labiche is alone and repeatedly sabotaging the train in the hope that the Allies will arrive. So at the end, why is Labiche fighting? To see through the task others died for? To keep resisting? To deprive the Germans of the art? I'm not entirely certain and am sure the ambiguity of this point will bother some. For my part the ambiguity plays an unusual and effective role. Labiche has several arguments to stop this train, each which he finds unpersuasive. Yet he never has any time to stop and think. He is either going to continue resisting or he is going to stop and wait for the allies. He doesn't have time to weigh matters and he never acts with the obvious conviction of the other characters. In fact the only factor he ever weighs in is human lives and whenever someone offers him a justification he could latch on to he mentions who died in the name of that idea. He acts as if every step in this mission is one more than he wants to take. As the Allies are delayed and more men risk their lives Labiche grows more indignant at the situation, but backing out will neither save the train nor, since they will go anyway, anyone's lives. Here's your prize Labiche. Some of the greatest paintings in the world. Does it please you Labiche? Do you have a sense of excitement in just being near them? A painting means as much to you as string of pearls to an ape. You beat me by sheer luck. You stopped me without knowing what you were doing or why. You are nothing Labiche. A lump of flesh. The paintings are mine. They always will be. Beauty belongs to the man who can appreciate it. They will always belong to me or to a man like me. Now, this minute, you couldn't tell me why you did what you did. Waldheim's noxious ideology boils over as he browbeats Labiche for his philistinism. Humanity, Waldheim in essence argues, consists not in all men by their nature, but only in those who comprehend greatness. Thus art does not belong to everyone by relating to a shared humanity, but to those who respond to it. Art does not enrich humanity, but constitutes it. Waldheim is a frightening caution of much, and that he is not maniacal but ideological means his character poses some legitimate questions for us. Three quite serious and intertwined ones in fact: What is man, what is he worth, and what do you do to him? 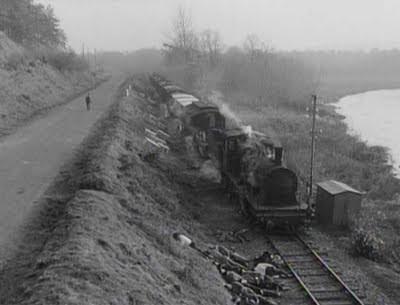 It is worth noting the many technical successes of The Train both to praise them and point by way of contrast where many films go wrong today. The script itself is compact. It is careful about how it gives the audience the information we need to understand what is going on. Sometimes the information is conveyed visually, sometimes through a conversation between characters, sometimes it is implied. Never, though, does one think what one so frequently does today during a movie, "Ahh, here are characters having a completely useless conversation just to give us information." Similarly, the film is economical about what it shows us and what it does not. The whole plot about disguising the train stations takes place off screen. When Labiche is held captive in a hotel room the whole elaborate ensuing scene in which he makes a phone call is never explained, rather it simply happens. Too we don't need to hear the phone call because we know what it's about. We don't need dialogue between Labiche and the engineer he collaborates with. We don't need any of this information and we don't get it which makes The Train, despite its two hour and fifteen minute run time, a sleek picture. Maurice Jarre's brassy score of clichés is not the greatest and in fact it is rather. . . distracting. Frankly it's more suited to Hogan's Heroes than a serious movie. The cinematography is nicely balanced between conveying the action with clarity and style. The above shots demonstrate the attention to dramatic content of the scene and frame. The special effects are not so much effects as staged instances of what takes place in the story. There are no miniatures and no film effects, but instead real huge trains, crashes, and explosions. The action scenes are few, well-timed and paced, and perfectly realistic. The massive vehicles moving have weight, the crashes are full of shards and debris, and the long, wide shots let us take everything in. In particular, the scene in which a Spitfire chases down the locomotive has a terrific sense of danger. While they are persuasive because they are realistic, the action scenes are engrossing because they carry dramatic weight. Since anyone can die at any moment all of the action scenes have tension. An action picture well-cast, with two top-notch actors of tremendous screen presence in opposing roles, filmed with technical virtuosity of every kind throughout, which entertains, and finally asks some serious questions. Since I will have the opportunity to introduce Greek and Roman philosophy in my courses, I've been giving some thought to the books that formed my own philosophical outlook. It occurred to me that many people, who want to do philosophy, may lack an entrée into the discipline. As the ancient, medieval, and modern canon* is (or ought to be) well-known to the liberally educated person, I've limited myself to books that might reasonably be called secondary sources or books that are reckoned---by me---to be generously illustrative of the Western tradition. (I leave altogether to one side the distinction between a philosopher who uses philosophical history to philosophize and a historian of philosophy.) I've appended a list of books written by non-academic philosophers; the authors of these books are, to my mind, wise to an exemplary degree and typify the lover-of-wisdom in the contemporary era. You won't learn a great deal about any one thinker or movement in their works; but perhaps even more than the other books, you'll glimpse what it means to live a philosophical life. I've tried to provide a list that addresses, in sum, the prime branches of philosophy: metaphysics, epistemology, and ethics. Natural philosophy, political philosophy, psychology, and logic are addressed only tangentially. It is, in short, an idiosyncratic catalog of my own interests and education, a catalog perhaps broad enough to accommodate others' curiosity and interest in the discipline. I just stepped in from my first Mostly Mozart concert of the season. I do not know who programmed the Ave Verum Corpus, Symphony KV.551, and Vespers de Confessore into one concert, or why, but the evening was terrific. 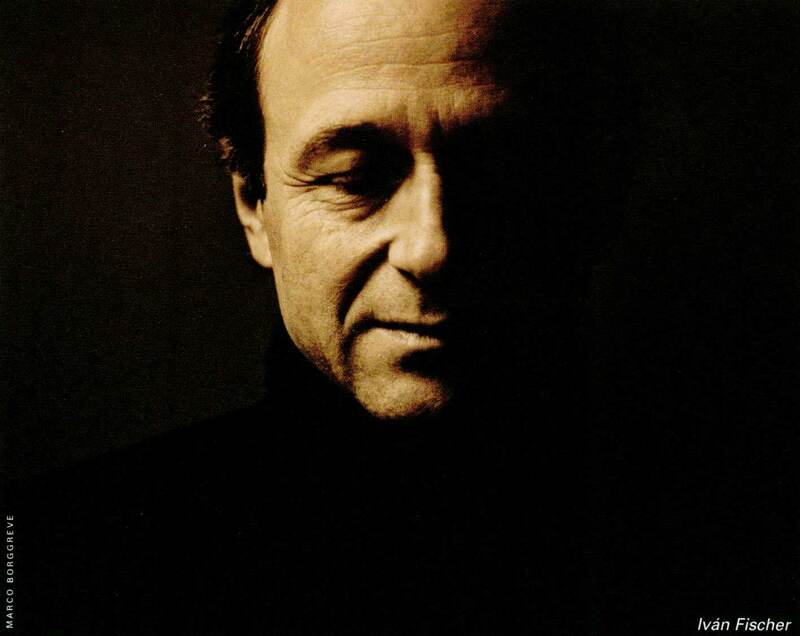 The utmost credit to Iván Fischer. The Ave Verum was delicate and affecting and the final symphony came to glorious life. Jupiter's first movement fugato was especially vigorous yet never bombastic. Well-balanced forces brought out Mozart's extraordinary writing for winds and interplay between strings and winds in the allegro cantabile. The winds were especially beautiful in their fleeting moments of the menuetto. With finely articulated rhythms and crisp fugatos Fischer brought out the ecstatic energy of that famed last movement. So much, in fact, that one acutely sensed the counterpoint keep the whole affair from bursting apart even as it amplified the energy by way of synthesizing the themes. The contrapuntal coda pushed the whole experience over the top, as it should. A most stirring performance of the symphony. Soprano Lucy Crowe made her Mostly Mozart debut tonight with Mozart's second set of vespers, proving she's not just at home in Baroque, Classical, and Romantic opera and oratorio but Viennese sacred music too. She brought a delicacy and restraint to the potentially operatic writing, gently covering the wider intervals of the Laudate Dominum and even the octaves of the Magnificat. Fischer's rather swift tempo for the Magnificat took away some of its heraldic grandeur but Crowe let that "Et Exultavit" out and Mozart's lively rhythms were in good hands for a spirited finale. Last but not least, James Bagwell and the Concert Chorale of New York did a fine job with all of the counterpoint and Latin, especially the great and grave fugue on Laudate Pueri. This concert, the Mostly Mozart debuts of both Fischer and Crowe and one of the few all-Mozart concerts of the festival, was a great success. Directed by Joe Johnston. 2011. Captain America sort of works. I think. Maybe. I don't know. I find it frustrating, infuriating even, when so much is wrong with a movie that you have a hard time deciding whether as a whole it even works or not, qua movie. Persevering, let us start with what works. Captain America has one heck of a chorus line with more wagging gams than any flick since Gold Diggers of 1933. In fact it is so good and the scene is shot so well that it bears further comment. Early in the film when Steve Rogers has been given his super strength by the American government's experimental procedure but before he has gone to war the generals relegate the proto hero to campaigning for war bonds across the states. This montage, overflowing with images of Uncle Sam, burlesque fights with Adolf Hitler, kicking chorus girls, and straight out sloganeering is slightly off-putting in its effectiveness. Nonetheless it is spectacular, more so than the action scenes. In fact I think many viewers will feel that way. How many gun fights and enemy base infiltrations have people seen? And chorus lines? There are not many ideas to speak of in Captain America. Here's one, sort of. According to the scientist who invented the serum, Steve Rogers is a good and simple man. He knows the value of strength because he used to be weak, unlike people who have always known strength. (The scientist does not like bullies.) This sounds like a meaningful aphorism, but is it true? Does someone doing good with strength he has always had mean more than someone who is, in fact, given strength, like Captain America? I don't think this is quite what they were trying to set up. Also, doesn't someone who has had power for a while already know how to control it? Maybe Captain America would have to learn that. Either way the idea does not really play out in the movie. In fact In fact the Skull took the treatment too, implying he used to be weak, or weaker than he became. Now what does that aphorism mean for the movie? What about power and corruption? I guess his newfound power didn't tempt Rogers. Or was it the case that the treatment just amplified your existing character, which in Rogers' case was fine because he was good? If so, that's a cheap evasion of the question about whether power corrupts. Let's look at some other apparent significance. In a scene in which Rogers and his buddy Bucky, formerly the brawn of the duo, storm a Hydra train to capture a scientist, Rogers is knocked down and Bucky picks up the Captain America shield and starts to fight with it. He loses and dies. Again, that looks important, but is this reversal significant? What was Bucky's flaw? Was he really so lacking in awareness that he didn't see Rogers was despondent about his weakness? How do we know Bucky's strength was unearned? How did Rogers earn strength by being good? Why is it significant that Bucky lacked the strength to be victorious? Maybe we're supposed to see that finally he knew what it was like to struggle when he was not strong enough. Well, the writers could have made this significant by having it happen before Rogers was fighting or even with some cheesy dialogue a la Spider-man, that "with great power comes great responsibility." Maybe they could have had Rogers, after Bucky's death, say, "I always wanted him to know what it was like to be weak. But now. . ." We don't get that, though. In fact there is not much continuity between scenes. Jay Bauman at the great Red Letter Media tersely called Captain America, "a series of things that happen." Indeed. So in the absence of my ability to make sense of any of those ideas I am forced to conclude that Captain America is just good guys versus bad guys. The bad guys are Nazis, well sort of. I didn't notice anything that identified them as Nazis and that's a rather embarrassing evasion. It reeks of political correctness when the Red Skull's troops shout, "Heil Hydra." So we can't even attribute any ideology to the bad guys. Yet the Skull spouts quasi-Nazi notions like, "We are beyond humanity." Who is he actually talking about here? Only he and Rogers had the treatment so he must mean them. So he's trying to persuade Rogers to join him? Maybe, but then he doesn't mean his men. (Don't tell them that!) Maybe he means that the powerful weapons his side has makes them better? So that makes them bullies, which makes the Americans the underdog. Although unlike in the doctor's aphorism they obviously didn't always have the powerful weapons but got them. So either the power made them evil or they were already evil. Based on our look at Rogers and the Red Skull and the fact that the war was underway already, the former doesn't seem plausible so the latter must be the case, which means the super powers shtick is just that, a shtick to allow for bigger explosions. The action scenes play out like sequences from a video game. Duck, shoot, take cover, doge, reload, sprint. Things blow up. There are even mid-level bosses. Sheesh. The casting and performances are fine. The cinematography is good as is the color palette and there are some nice shots. The score is forgettable except for the jingle from the war bonds chorus. There's also a teensy bit of Wagner to make the bad guys seem ominous. The direction is competent. The script is garbage. Overall, it's like World War II got turned into a comic book, then into a video game, and then halfway into a movie. The problem is clear. Anyone who has long pondered sacred music knows it. Music lovers evade it as long as they can but eventually the rift becomes undeniable. Of sacred music, there is chant and everything else. Foremost this admission seems a blasphemy of Bach, Mozart, and Beethoven to say nothing of the Renaissance masters. If music is excellent, can it not serve or be adapted to serve a liturgical purpose? One path to answering this question is technical and that is the path we will trod in this series. Today we will look at how the mechanics of chant function as a style. Let us examine what this music does and what effects it brings about. Chants use relatively conjunct motion, that is, they avoid wide intervallic leaps. Wide leaps arrest the attention and tend to segment the line whereas lack thereof permits long, unbroken, unfolding lines. Stepwise motion is the most common, with skips of a third and fourth not unusual. The lack of accompaniment focuses attention on the one melody. In chant the rhythms are derived from the text. This has two effects. First, it frees the music from the demands and constrictions of a meter like 3/4 or 4/4. There is no predictable rhythm to "fall into." The music ceases to be "in time" and time itself fades away, leaving only the text. Second, that text is the scripture. It is the words of the sacred texts themselves that direct the music. There is no intrusion of a personality into the music. There is no place in chant to say, "Ahh, this is classic Brahms." The listener won't be enticed to think that a change of register, a change of key, a chromatic line, a chord, a figure, or whatever, is "typical" Handel, Haydn, or whoever." The text is always intelligible, never obscured. These five essential features of chant constitute a "meditative" style of sacred music. Of course not all chant from all times from all places conforms to these practices. There is scholarly debate what the norms were when and where. Nonetheless these features represent compositional practice and a unity of effect that makes them worthy of attention. These practices let the text in every way remain the center of the experience. This gives the text prime place and fosters meditation on it. The way in which any piece of sacred music diverges from these fundamentals is the degree to which something else enters the experience. That something is usually, a 1) stylistic trope of the age, 2) an affectation of the composer, 3) an attempt to dramatize the text. Musical fashions and fads, the personalities of composers, and even emotions themselves all constitute additions to the musical experience. In the future we will examine the way such departures affect the experience and consider which, if any, are justifiable or desirable. Hoppin, Richard H. Medieval Music. W. W. Norton. New York. 1978. N. B. The above points have often been made but never as concisely and transparently as in Robert Greenberg's Great Courses class, "How to Listen to and Understand Great Music," which I highly recommend. See also, Appel, "Gregorian Chant" and Hoppin, "Medieval Music" for invaluable scholarship. Euripides' Orestes (Ορέστης) was produced in 408BC, 50 years after Aeschylus' Orestia and its topsy turvy plot takes place between the Libation Bearers (Χοηφόροι, Choēphoroi) and the Eumenides (Εὐμενίδες.) Here Orestes, son of King Agamemnon, has just wrought vengeance on the murderer of his father. Yet it was his own mother, Clytmnestra, who killed the king and now the Furies pursue Orestes, driving him mad for the matricide. Yet it is not solely for the great and terrible saga of the house of Atreus or the dramatic and political dimensions of Orestes that the play is important. In 1892 papyri of the play dating to the 3rd century were discovered at Hermopolis, and one of the scraps contained musical notation. The papyrus is damaged and incomplete and whether the music is truly by the hand of Euripides is not entirely certain. Still, the fragment is a fascinating and revealing glimpse at ancient music and [musical]-theater for while we know the Greek culture was highly musical, precious little written music survives. The voices were possibly but not certainly accompanied by a kithara and an aulos, which were often used to accompany solo lyrics in competitions and festivals. The monophony of the piece emphasizes its chant-like quality. N.B. The 1892 papyrus orders the lines differently than other manuscripts, so please note the line numbers.